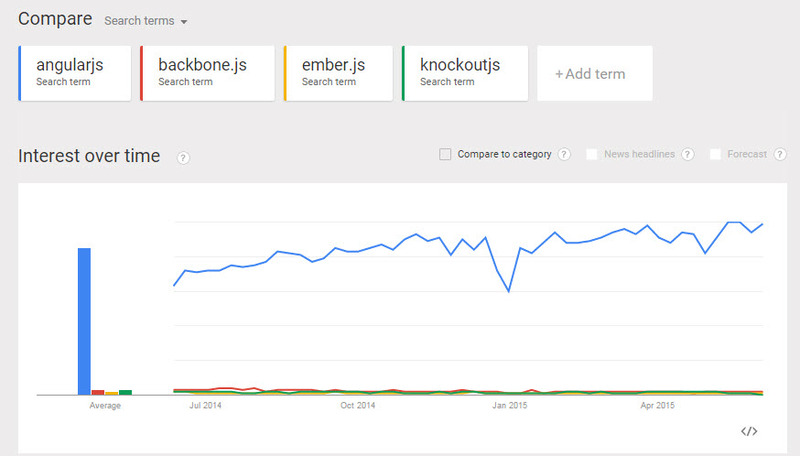 Let’s take a quick look to see if AngularJS is still on the rise in popularity. 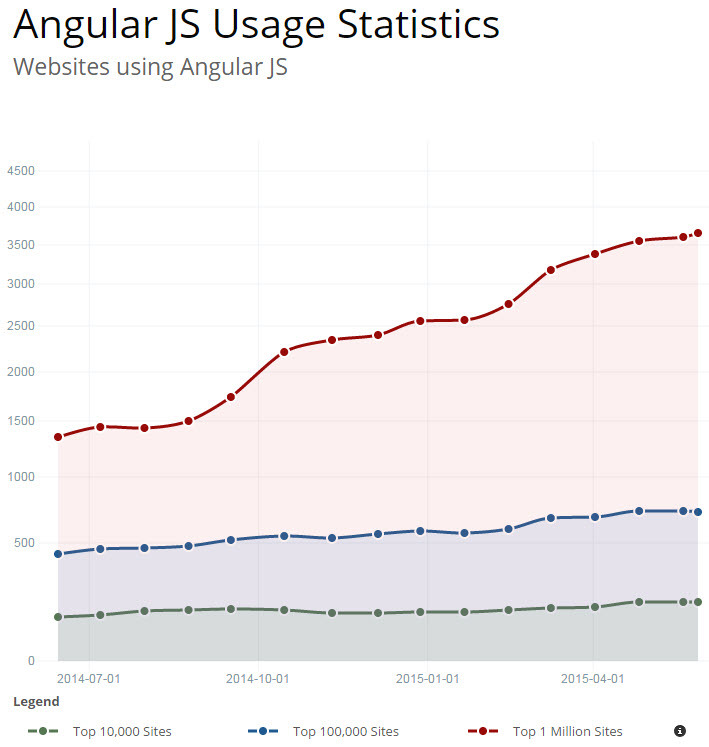 According to builtwith statistics we can see the top million websites AngularJS usage has almost tripled in the past year from 2014. The top 10,000 sites already established in terms of platforms and probably won’t adopt AngularJS quite so readily. 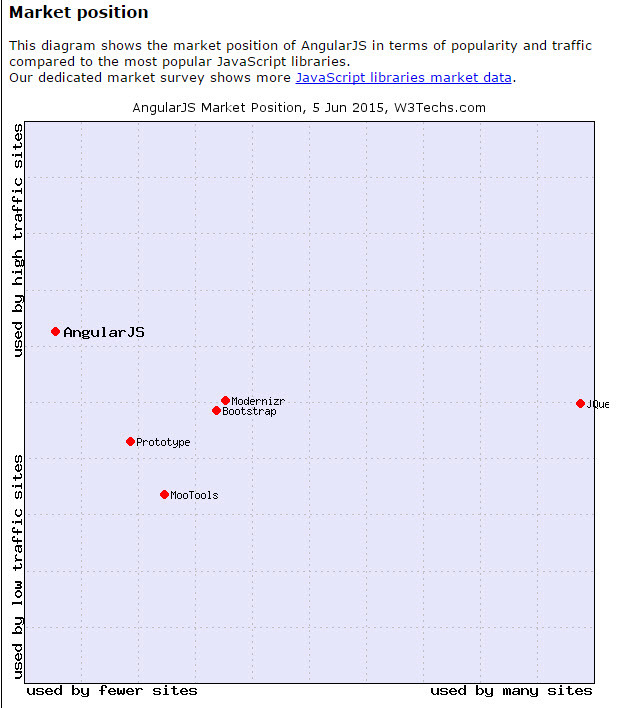 As suggested by w3techs, AngularJS is being more widely adopted to high traffic sites. This is probably due to the fact that it is popular with modern web apps and the good ones obviously get a lot of high traffic! This is just a few examples to check AngularJS popularity, I’ll dive deeper into more specifics in another post. Sam is a web developer, online entrepreneur and investor. In his spare time he enjoys coding, playing chess and sharing what he learns with others. Angularjs4u.com is not endorsed or certified by AngularJS. All AngularJS logos and trademarks displayed on this blog are property of AngularJS. The views expressed on here are purely to help other developers use AngularJS.